Our Outpatient department offers therapeutic counseling, psychiatric services and substance abuse services for adults, children, adolescents and families. 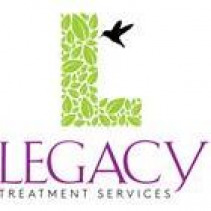 All services are based on a variety of evidence-based practices delivered by an interdisciplinary staff that includes psychiatrists, master’s level clinicians, family therapists, addictions specialists, social workers, peer support specialists, care coordinators and advanced practice nurses. Services include: Individual, group and family counseling Therapy for adults and children age 5 and up Psychiatry and medication monitoring for adults and children Substance abuse counseling for adults and adolescents Intensive outpatient services for adults with a substance abuse disorder Intensive outpatient services for adults with a co-occurring mental health and substance abuse diagnosis Bilingual therapy and translation services are available for Hispanic-Latino individuals. Services are available in the Human Services Building at 795 Woodlane Road, Suite 301, Mount Holly, New Jersey. Private insurance, Medicaid, and Medicare are accepted. The department also uses a sliding fee scale (based on income) to determine fees for uninsured individuals. For more information, call (609) 267-1377 or (800) 433-7365.